FIFA’s World Cup bid corruption report causes more controversy. Might take something a bit stronger. 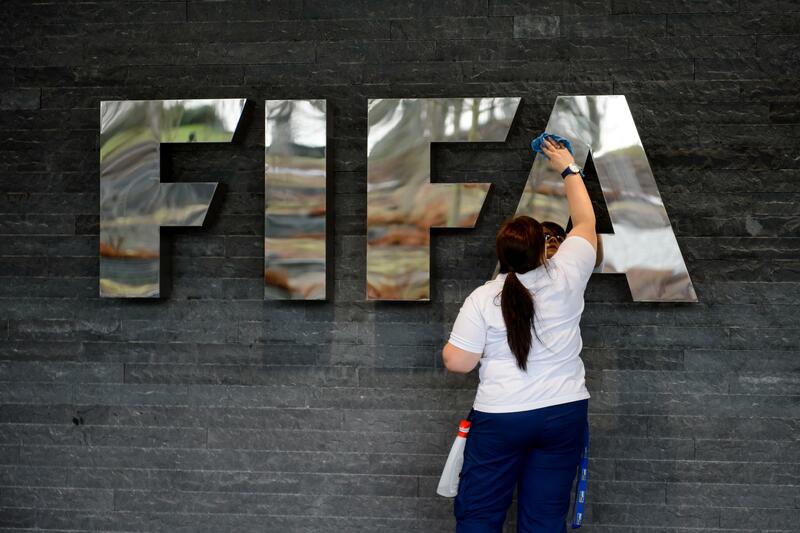 First, the good news coming from FIFA’s release of its internal corruption investigation into the World Cup bidding process: FIFA is not in charge of the global Ebola response. The not-so-good news is the global soccer authority remains in charge of the world’s most popular sport. On Thursday, FIFA released its findings from a corruption investigation, giving a clean bill of health to the winning bids of Russia and Qatar to host the 2018 and 2022 World Cups. That’s according to FIFA ethics judge Hans-Joachim Eckert, who released a 42-page statement saying the integrity of the winning bids in the competition to play host—which took place four years ago—was sound, and the games would go on as planned. Case closed, Eckert says. Sort of. “Former United States Attorney Michael Garcia, who spent more than a year investigating allegations of corruption before turning his findings over to Eckert, complained that the final version contained ‘numerous materially incomplete and erroneous representations of the facts,’ ” Reuters reports. The 42-page summary produced by FIFA was only a fraction of the 430-page report into the behind-the-scenes wheeling and dealing within the organization. Garcia said he would appeal the closing of the case—that he investigated—and wants the full report to be made public. One soccer official asked a potential World Cup host for personal favors, such as a job for a relative, and found them readily granted. Other executives were more circumspect, requesting million-dollar investments in their home countries rather than direct payments. Still others simply traded in cold cash. Eckert played down previously reported Qatari payments which raised suspicion: Buying exclusive campaigning rights to an African football meeting in Angola, and a wealthy individual who lured Argentina and Brazil to play a match in Doha. Russia’s bid conduct was barely criticized, though Garcia’s team had little material to work with. Computers leased for use by Russia staffers were later destroyed, and bid officials said email accounts could not be accessed despite requests to Google.